One of the reasons for not writing here very often this spring is that I am co-editing a major volume in my “spare time”. Last week I visited my good friend, colleague and co-editor Kennet Granholm at Stockholm University, to discuss some final issues. This weekend, we ship the manuscript off to Equinox Publishing – a full 689 pages – ending a period with much editorial work. 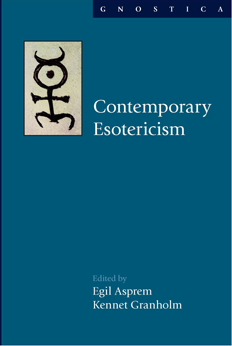 To celebrate this, I’ll kick off some pre-production advertising of the volume, which bears the title Contemporary Esotericism.